With the increasing demand for midwives among U.S. women, reproductive rights activists are lobbying to loosen restrictions that deny legal access to homebirth options. 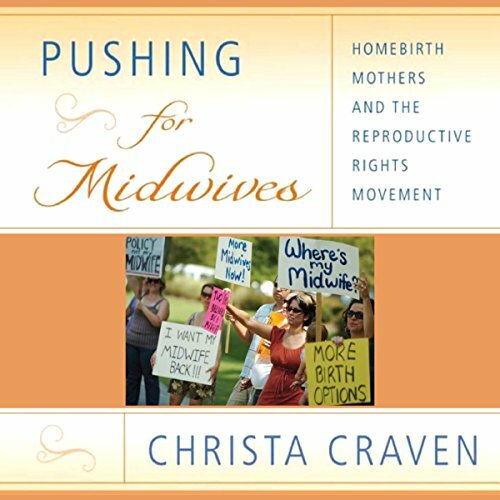 In Pushing for Midwives, Christa Craven presents a nuanced history of women's reproductive rights activism in the U.S. She also provides an examination of contemporary organizing strategies for reproductive rights in an era increasingly driven by "consumer rights". By framing the midwifery struggle through a political economic perspective on reproductive rights, Pushing for Midwives offers an in-depth look at the strategies, successes, and challenges facing midwifery activists in Virginia. Craven examines how decades-old race and class prejudices against midwives continue to impact opposition to - as well as divisions within - women's contemporary legislative efforts for midwives. She argues that this recognition is vital for both scholars and activists if they hope to maintain their commitment to expanding reproductive rights for all women. I found it really hard to listen to this, possibly just me but the narrators voice was robotic and a bit too high pitched. I'm a student midwife and the book deals with a very interesting topic for me but I honestly wish I hadn't wasted a credit on this. I'd happily read a hard copy!